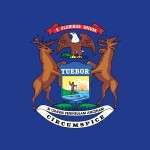 Michigan Poker – Is Online Poker Legal in Michigan? Michigan is a pretty good state for poker players. Home games are okay. Casino poker is fine, too. And online poker is a grey area at worst, although the state has changed its mind a couple times (more on that in a second). So, I wouldn’t hold out for online poker. But if playing live poker piques your interest, read up on your options below. Fun Fact: Detroit, Michigan earned $1.417 billion in casino revenue in 2012. This made them the 4th largest US casino market by annual revenue. To put that into perspective – they brought in more than double what Reno, Nevada, did in the same year. Are Home Poker Games Okay in Michigan? However, there is an exception in Michigan’s gambling game statute. …but does not include games played with cards in private homes or residences in which no person makes money for operating the game, except as a player. I also suggest not charging for food or drinks (other than at cost). It’s not mentioned in the statute, but most states state that you cannot be running your games at a profit (other than what you take during the game). So make your game a ‘BYOB’ thing and you’ll be just fine. At one time online gambling was illegal in Michigan. In 1999, they passed SB 562. This made it illegal to use the internet to gamble since it violated their anti-gambling laws. But, then in 2000 they passed Public Act 185. This repealed the anti-gambling references, therefore removing the ban on using the internet to gamble. Can You Play Live Poker in Michigan? What they do not allow is dog racing. So, just exactly how many casinos are there? Where can you play poker? Poker will be hit or miss – at least according to the websites. But be sure to scour each website. Most casinos have more than one property, and often times each property will offer slightly different games. Also, some casinos list their poker games under the table games heading instead of a poker heading (like most states do). Bay Mills Casino did this – and I almost missed it. Casinos that I know offer poker include: Soaring Eagle, FireKeepers and the aforementioned Bay Mills. You’ll find a solid section (depending on where you go, of course) statewide. You’ll find Texas Holdem, Omaha, Stud and even Pineapple being spread in cash games, tournaments and sit and go’s. Right now they have nothing on the docket for online gaming. But in the past MGM and Representative John Conyers both have expressed interest in regulated online gaming. So, it’s hard to tell. Experts think we’ll see some form of legislation in 2017-2018. But me? I think it might take a few years longer.